There’s a certain train tunnel in India that’s become the source of many strange stories. It’s never actually had a train go through it in the many years since it was made. Hey Anita can you send some ghost stories from India I would love to see a ghost story from India. 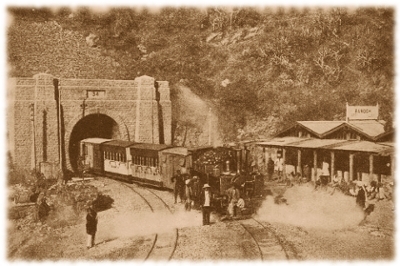 It set me on the lookout for Indian ghost stories, and this one about the Barog Tunnel caught my eye right away because there’s a true story behind it. 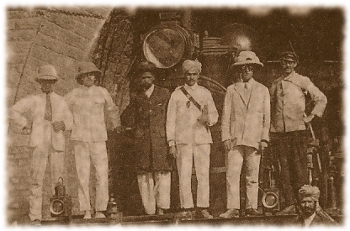 The story starts with a man called Colonel Barog, who was the engineer in charge of blasting a tunnel through a mountain for the Kalka-Shimla Railway. Colonel Barog ordered the tunnel to be built from both sides of the mountain at the same time, this way everything would get done faster and he’d be sure to earn public praise for his good work. The two work crews set to doing the grueling work of digging and blasting through the solid rock at each end of the mountain. Since they couldn’t see which way they were going, Colonel Barog instructed them to follow his calculations on which way to dig. The plan was that the two tunnels would meet in the middle and become a single tunnel that a train could go through. However, when the two crews got to the middle of the mountain they couldn’t get the tunnels to meet up …no matter how much they kept digging! After a while it became clear that Colonel Barog’s calculations were wrong, way wrong. As in, life shattering, publicly humiliating kind of wrong. The government was so angry with Colonel Barog for making such a mistake that they made him pay a fine and publicly reprimanded him. And the people in the work crews, well they were furious since their hard work had been all for nothing. Surrounded by people who seemed to hate him and unable to live with the humiliation any longer, Colonel Barog made a fateful decision. He rode his horse to the dark entrance of his unfinished tunnel one day and killed himself …and he has never left the place since. Colonel Barog was buried in a grave not far from the abandoned tunnel and almost right away there were rumors of his ghost being seen lingering nearby. Meanwhile a new engineer was hired, and with the help of a local shaman, was finally able to make a new tunnel through the mountain. The new tunnel was named Barog Tunnel and a nearby city named Barog City after Colonel Barog, in remembrance of his story. Yet the ghost of Colonel Barog did not feel at peace. Over the years many people were frightened out of the new tunnel by the apparition of Colonel Barog riding his horse from one end to the other, over and over again as if in frustration. The site of the other tunnel, the abandoned one, became a place that people would dare each other to go into. It’s an eerie place that has water dripping from it’s ceiling and is mostly filled with water. And after a few steps inside it gets very dark. The government put a metal door over the front to block the entrance into it, but someone broke the lock and now anyone can just push open the creaky old door and go inside. People who walk into the tunnel have experienced strange things, like seeing the ghost of Colonel Barog hovering above the water or even hearing him talk to them from the darkness. 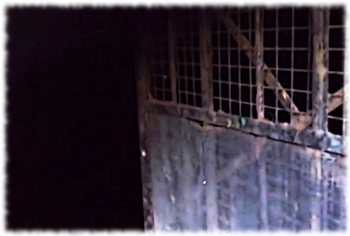 In fact getting the ghost of Colonel Barog to talk to them is one of the main goals of people going into the abandoned tunnel, as it’s said that if he likes a person he will sit down and talk with them. I’m not sure I could have a talk with a ghost without having a heart attack at some point in the conversation, but that’s just me. 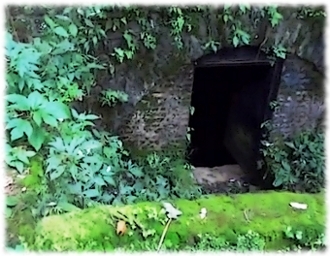 In recent years the abandoned tunnel has attracted much attention and has been widely regarded one of the most haunted sites in India. Ironically all this haunting activity has made the tunnel (and Colonel Barog) far more famous than it ever could have been otherwise. I wonder what Colonel Barog would think of that? Well there’s only one way to find out… if you’re ever in the area of Barog, India how about you go into the abandoned tunnel and ask him for me :-D.